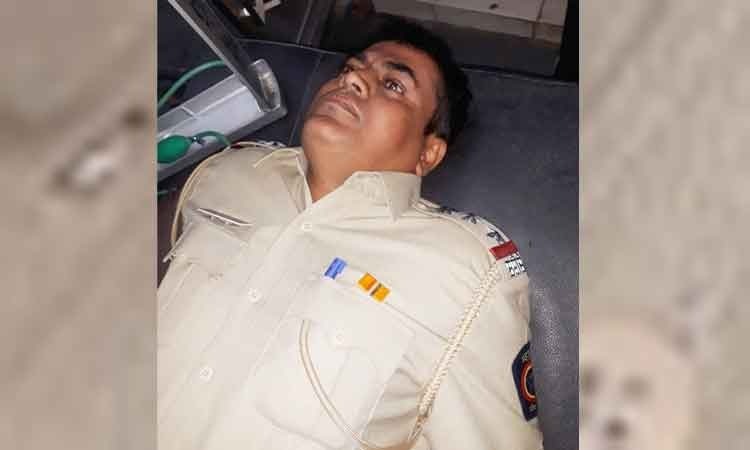 Solapur : Np News Network- One dacoit died, while three policemen have sustained grievous injuries in encounter between police and six dacoits in Ulgaon village of Solapur district (Maharashtra) around 3 am today. A team of police was on patrol duty when they saw the dacoits near the Solapur-Tuljapur highway and asked them to surrender. However, they started pelting stones and attacked with sharp weapon. Police Inspector Vijay Patil warned the dacoits and fired below waist. But the dacoits continued to assault. Hence Patil fired another round which hit one of the dacoits.He was taken to Solapur government hospital, where he was declared brought dead. Patil sustained injuries on his hands and thigh. Two more policeman have sustained injuries. Superintendent of Police Manoj Patil has confirmed the encounter.